The mission of CT DDS Families First is to secure all opportunities and support Connecticut citizens with intellectual and developmental disabilities (I/DD) so that they may live full and productive lives in their communities. (l to r): Joe Duffey, State Representative Dave Yaccarino and LauraLynn Lewis from Connecticut Department of Developmental Services at the Legislative Office Building in Hartford on Wednesday, March 28, 2018. On Wednesday, March 28, 2018, State Representative Dave Yaccarino (R-North Haven) met with individuals from Connecticut Department of Developmental Services (CT DDS) Families First at the Legislative Office Building in Hartford. CT DDS Families First is a grassroots advocacy nonprofit organization. 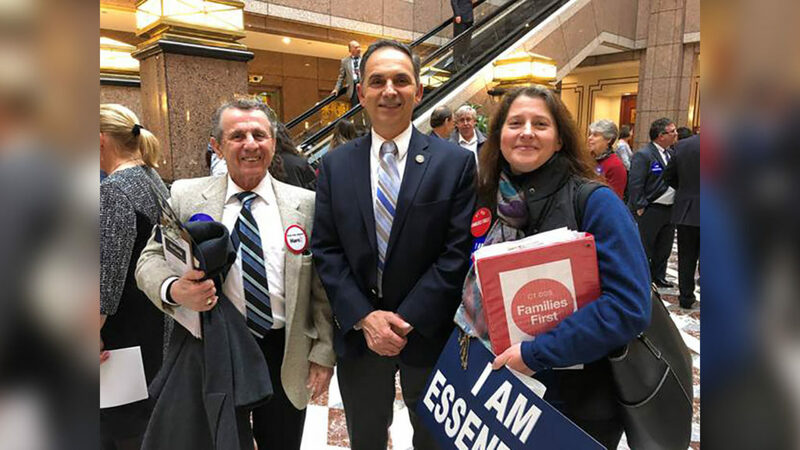 The mission of CT DDS Families First is to secure all opportunities and support Connecticut citizens with intellectual and developmental disabilities (I/DD) so that they may live full and productive lives in their communities.